Inside the Humans’ cell. The Doctor and Sarah are huddled together. Two Daleks enter the cell. DALEK: I am O-dys-seus, King of the Da-leks. The top of the Dalek travel-machine opens and Odysseus appears. The other Dalek top opens and Elpenor sticks his head out. ELPENOR: I have heard the song of the Siren and sung the song of the Dalek. Exterminate! Exterminate! ODYSSEUS: That reminds me. Stand clear! Odysseus swings round and blasts a couple of rocks near the entrance. SARAH: Was that really necessary? DOCTOR: Merely corroborative detail, intended to give artistic verisimilitude to an otherwise bald and unconvincing narrative – in other words, to fool the Circeans. [To Odysseus]: How did you do it? ODYSSEUS: I always did have an inventive turn of mind. It wasn’t difficult dismantling those Daleks once I’d seen you do the first. Oh, yours, I believe. [He hands over the Doctor's sonic screwdriver]. We emptied one each, and we were just trying them for size, when the only one left set off along the cavern bellowing "Exterminate: Exterminate!" So we followed and exterminated it. Now I suggest you sneak along to the Dalek cave, where you’ll find your travel machines ready and waiting, while Elpenor and I create a small diversion. [To Elpenor]: Are you ready to sing the song of the Dalek again? Odysseus and Elpenor huddle down into their Dalek travel machines. 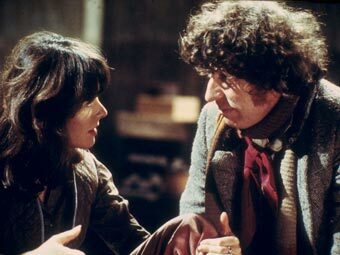 The Doctor and Sarah close their tops. The Council Chamber of the Polyfemos, who are watching the scene in the cavern on a Cyclopic Screen. They see the Daleks come out of the Human’s cell. AIAIA: The alien creatures are destroyed. Let the Daleks return to their stable. The Daleks turn in the opposite direction, swinging their viewing tubes from side to side as if searching for more aliens to exterminate. They blast a pile of spaceship debris. AIAIA: The Daleks are out of our control. We must apply the full force of psycho-tranquilisation. The Polyfemos concentrate and moan. The Daleks continue their search. AIAIA: The Polyfemos need the aid of all the Circeans. Let us call on all the Circean people to help us. Let all work cease, let those who sleep awaken. The Daleks must be tranquillised before they exterminate all the alien workers. The Polyfemos concentrate and moan. On the screen they see the Daleks reach the end of the cavern, abandon their search and return to their cell. The Polyfemos collapse into relieved exhaustion. The construction site, next morning. The work is under the supervision of several Cyclopic Eyes. The Alpha-Centauran, four Daleks and an Uperonian-Kentar arrive. The Uperonian-Kentar begins to lift girders and panels into position. The Alpha-Centauran begins checking and calculating. The Daleks move towards the ship. DOCTOR-DALEK: We’ve got to disable the hyper-drive. Follow me. The Daleks make their way into the lower part of the ship. A Cyclopic Eye swings low to observe them. DOCTOR-DALEK: Give it all you’ve got. The Daleks blast the hyper-drive. Odysseus first blasts the Cyclopic Eye then joins in the destruction of the hyper-drive. DOCTOR-DALEK: That’s enough. Let’s get out of here. They scramble out of the travel machines and clamber up among the girders inside the spacecraft, just avoiding the huge claw of an Uperonian-Kentar which is thrust into the confined space to deal with the Daleks. The construction site. From among the girders of the space-ship the Doctor, Sarah, Odysseus and Elpenor look down on the claw of the Uperonian-Kentar as it smashes the Dalek travel-machines to pieces. They hear the crunching of the metal and the enraged grunting of the giant beetle. Then it withdraws. SARAH: Have we done enough to disable the ship. DOCTOR: I don’t know. We’d letter lie low until tonight, then I’ll disconnect one or two bits and pieces and connect them up a different way. SARAH: And with a bit of luck – bang! Then we can get out of here. ODYSSEUS: When we’ve found Eurylochos. SARAH: But that means going back inside the cave. ODYSSEUS: Which is the last place they’ll think of looking for us. DOCTOR: They won’t look anyway. We’re dead. Blasted by Daleks. And now the mutinous Daleks have been flattened by an Uperonion-Kentar. The Circeans must be worried by the spread of disaffection. ODYSSEUS: Are these Kentars intelligent? DOCTOR: No. The Kentars are just giant beetles. It’s the Uperonians who are intelligent. You see it’s a sort of parasitic symbiosis. The Uperonians are brains without bodies, so they’ve taken over several of the other species on their planet, including the Kentars. If you look out there you can see the Uperonian above and between the Kentar’s eyes. It’s completely external to its host’s body apart from five short probes into the brain. Yet it controls that body completely. It’s like the brain of a man grafted onto to beast of burden – a combination of intelligence and strength. ODYSSEUS: Are they willing servants of the Circeans? DOCTOR: About as willing as we were. ODYSSEUS: Have you got the crystal? The Doctor produces the crystal. Odysseus takes it and swings away. ODYSSEUS: To gain us an ally. DOCTOR: Wait! [To Sarah]: I don’t think he ought to do that. The construction site. Odysseus emerges from the spaceship and approaches an Uperonian-Kentar. It ignores him and continues its work. He brandishes the crystal in front of its eyes, leaps up and down, waves his arms, and taunts it like a bull. It lumbers unheedingly past. The Council Chamber of the Polyfemos. On their Cyclopic Screen they see Odysseus run again to the front of the Uperonian-Kentar and taunt it with the crystal. AIAIA: One of the Circeoid aliens still lives. It must be destroyed. Let the Uperonion-Kentar destroy the creature. The construction site. The Uperonian-Kentar becomes aware of Odysseus. It lumbers towards him and begins to raise its claws. Odysseus brandishes the crystal. Suddenly the crystal flares then flashes irregularly. The Uperonian-Kentar stops. Its claws sink to the ground. The Uperonian brain begins to writhe horribly, then, suddenly, it detaches itself from the Kentar and falls dead at Odysseus’ feet. Odysseus jumps back in horror. For a moment the Kentar remains quiet, then it begins to gnash its mandibles and to emit a coleopterous snarling. Odysseus backs slowly away. Suddenly the Kentar swings at him with one of its claws. He dives out of the way and flees. The Doctor, Sarah and Elpenor emerge from the ship and join his flight to the rocky hillside, while the Kentar lashes the air with its claws and begins to move in slow but accelerating circles. From the rocks the Doctor, Sarah, Odysseus and Elpenor watch as the brainless Kentar hurls itself at the spaceship, crashing through the outer wall and disappearing inside. There is an explosion inside the spaceship, followed by another. The whole structure slowly collapses. ODYSSEUS: Was that a big enough bang for you, Doctor? DOCTOR: I doubt if they’ll ever get that off the ground. But now they know we’re still alive, let’s take advantage of the confusion to get out of here. They move away in the shelter of the rocks. They arrive at the entrance to the cavern. The boulder-door is open. DOCTOR: Isn’t that kind. They’ve left the door open for us. Come on. Inside the cavern. They reach the mouth of a tunnel at the top end. DOCTOR: Up here, I think. ELPENOR: That is bad place. I have heard the song of the Siren. DOCTOR: That settles it. Follow me. The Doctor and Sarah enter the tunnel. Elpenor hesitates. Odysseus grabs him. ODYSSEUS: Where Odysseus goes, Elpenor follows. The Brain-Analysis Chamber. The Doctor, Sarah, Odysseus and Elpenor enter. SARAH: What is it, Doctor? DOCTOR: Some sort of laboratory, or operating theatre. VOICE OF CALUPSO: You seek your companion as we knew you would. We foresaw your every move. We predicted that you would return here looking for the old Circeoid. VOICE OF CALUPSO: The specimen was subjected to brain-analysis. It is dead. Its fate need not concern you. Give us the blue crystal. DOCTOR: That explains the arrangement of these crystals around the operating table. Very interesting. VOICE OF CALUPSO: There is no point in your puny mind trying to understand our science. Where is the blue crystal? DOCTOR: Who are you? Why do you want another crystal when you have so many? VOICE OF CALUPSO: Your questions are insolent. You are in our power. We shall hand you over to the Polyfemos of Circe. They will destroy you. We shall hand you over unless you give us the crystal. While she is speaking, the Doctor moves about the room, apparently out of aimless curiosity. He stops at one side. DOCTOR: I still want to know who you are. He crashes open a crystalline screen dividing the Brain-analysis chamber from a small office. Calupso, Ogugia and Nausikaa are revealed. They cower against the wall. DOCTOR: So at last we meet Circeans face to face. Come on out. We won’t hurt you. ELPENOR: The Circeoid must worship the Circean. Elpenor drops to his knees. CALUPSO: If we communicate by telepathy with the Polyfemos they will destroy your minds. DOCTOR: Ah, but you won’t do that or you’ll never get the crystal. It will appear time and time again to liberate your slaves and destroy your work. Stalemate, I think. CALUPSO: We have underestimated you, Circeoid. You have greater knowledge than your companion whose brain we analysed. I shall tell you all. We are the Forkiads of the Seventeenth Cyclops. It was our Eye that watched over the stables. When you destroyed it, our minds were entranced by the power of the blue crystal, but you did not break the spell before its completion. We were freed from the thrall that has held our people for so many centuries. The Circeans did not develop a technology such as we have heard of by intercepting radio-wave transmissions and seen in the images contained in the brains we have analysed. Ours was the contemplative way. Our ideal was to enlarge our minds both individually and collectively. We developed those faculties which other races have scorned: telepathy and telekinesis. Our only artificial aids were crystals which we used to focus and extend our telepathic powers. We gained control over every living thing on this planet, and we longed to extend the powers of our mind to the Seven Galaxies. This ideal enslaved us. We used up our energies faster than our bodies could restore them in sleep. We sought slaves to build spacecraft for us and controlling them drained more of our energy. The Polyfemos dream that we shall control the Universe and be daily strengthened by the worship of our subject races. But we have seen that we have become parasites, feeding off others and off ourselves. If we are to survive we must abandon our ambitions and live in freedom on Circe. That is why we must have the crystal. The Polyfemos must be made to understand. The Council Chamber of the Polyfemos. AIAIA: Let Calupso, Ogugia and Nausikaa enter with their prisoners. Enter Calupso, Ogugia and Nausikaa with the Doctor, Sarah, Odysseus and Elpenor. The Forkiads are visibly more erect and energetic than the languid and exhausted Polyfemos. Their voices are stronger and it is possible to tell that Calupso and Nausikaa are female Circeans and that Ogugia is male. AIAIA: It is well. You former Forkiads would have been extinguished and your vital energy absorbed by us, but for this deed. Explain to us how the saboteurs were captured. 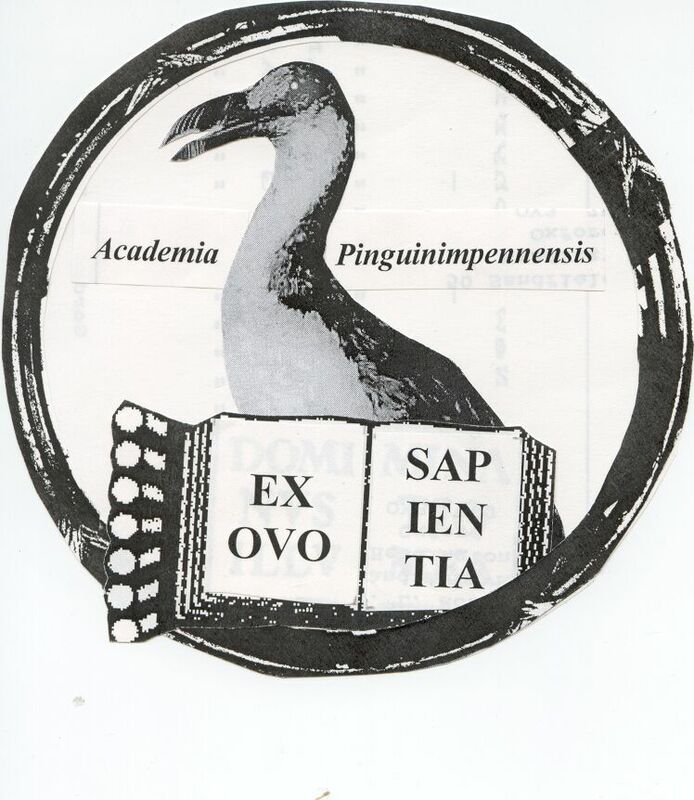 CALUPSO: Noble Aiaia, let the Polyfemos hear. The Circeoids have a crystal which is able to concentrate and reflect back the telepathic impulses of a mind so that the brain’s power is amplified and enlarged. That is how they were able to break free of the power of the Circeans. Being mere primitives with little understanding of crystallography or encephalo-electronics, they believed that the crystal was magic, that it freed the slave and enslaved the master. That is why they showed it to our Cyclopic Eye. And, while we were temporarily stunned by the amplification of our own Circean mental powers, they destroyed the Eye. When we regained consciousness our minds were as strong as those of the Circeans of old. We forestalled the saboteurs and easily subdued their puny minds. We took the crystal from them and now present it to the Polyfemos. Let Aiaia but look into its depths and the power of the Circeans will be as great as if we already ruled the Seven Galaxies. AIAIA: Can this be true? Can there be such a crystal? The Forkiads are changed. They are strengthened. Let us look into the crystal. Calupso gives the crystal to Aiaia. CALUPSO: Look deep into its centre. There you will see a blue light which will grow brighter. It is the amplification of your mind. AIAIA: We can see nothing. There is nothing to be seen. SARAH [whispering]: What’s gone wrong? DOCTOR: It must need a human catalyst. AIAIA: The Circeoid creatures are not tranquillised. We have been deceived. The Circeoids must be destroyed. The Polyfemos moan and concentrate. The Doctor, Sarah and Odysseus clutch their heads. Elpenor falls on his knees. ELPENOR: The Circeoid must worship the Circean. I worship you with all my mind and all my heart. AIAIA: What is this? Is this a trick? CALUPSO: This one was subjected to special psycho-manipulation using the Siren. ELPENOR: I have heard the song of the Siren. I must the worship the Circeans. AIAIA: The Circeoid’s fervour is genuine. The Circeoid must remain quiet in the presence of the Circean. No harm will come to it. Elpenor kneels quietly, whispering to himself, "The Circeoid must worship the Circean". AIAIA: We must absorb the energy of these aliens. The Doctor, Sarah and Odysseus sink to the floor. CALUPSO: There is no hope for us. Our race is doomed. AIAIA: We feel their energy flowing into our brains. ELPENOR: The Circeoid must worship the Circean. The Circeoid must help the Circean. The Circeoid must give his life for the Circean. Elpenor stares fixedly at the Metabelis crystal which Aiaia is still holding. It begins to glow. CALUPSO: The crystal! It’s glowing! Aiaia, Speaker of the Circean Polyfemos, salvation is yours. Aiaia stares at the crystal. AIAIA: I see a blue flame. The Polyfemos moan. The crystal flares brighter and brighter as they concentrate on it. The Doctor, Sarah and Odysseus are released from the grip of Circean power and begin to recover consciousness. DOCTOR: It’s working, Sarah. It’s working. She points at Elpenor who has gone into a rigid spasm. The crystal flares to its brightest, then its glow dies away. The Polyfemos sigh. Elpenor slowly topples then collapses dead. The Doctor and Odysseus leap to his side. AIAIA: He gave his life for us. Aiaia’s voice is stronger and deeper. The Polyfemos no longer moan in unison but occasionally rhubarb as individuals. AIAIA: We read his mind as it was extinguished when our collective energy filled the crystal. We read the worship in his mind and accepted his sacrifice because we could not prevent it. The power of the crystal has cleansed the labyrinth of our thought. The monstrous greed, which lurked, at its centre and befouled it, is dead. We are appalled at what we have done. We have existed as parasites upon the Circeans, and the Circeans have sought to feed upon the free races of the Universe. We shall make what amends we can. All the specimens, that is prisoners, will be allowed to return to their own planets. As for you, whom, we called, Circeoids because we thought you were like us but inferior, how can we repay you for opening our minds to our own evil? SARAH: That’s easy. Just let us go home too. AIAIA: So be it. But let the body of Elpenor remain with us. We shall give him obsequies befitting the saviour of our race. ODYSSEUS: It shall be as you wish. AIAIA: Now we perform our last act as Polyfemos of Circe. We proclaim freedom, we proclaim the right of the Circean people to elect their leaders, we appoint Calupso, Ogugia and Nausikaa to govern until then, and we abdicate all our powers. Aiaia bows and leaves the Council Chamber followed by the other members of the Polyfemos. CALUPSO: I proclaim freedom and love! CALUPSO: Will you not stay, at least until the new constitution is established? Your help would be invaluable. SARAH: We really ought to be going. ODYSSEUS: I must get home. I have seen dreadful visions. Agamemnon slain by his wife. Penelope besieged by drunken gluttons all trying to persuade her to marry them so that they can get their hands on my property, eating us out of house and home in the meantime, and plotting to murder my son, Telemachus. The crystal gave me these visions as warnings. We must hurry home, Doctor. DOCTOR: Be patient, Odysseus. It will not make any difference to our time of arrival whether we leave now or in three months time. We shall arrive at the time the gods will. But, Calupso, we cannot stay to help you. If you are to be truly free you cannot depend on outside help. You must discipline your own inner resources and learn to govern yourselves. CALUPSO: We shall always remember your timely assistance. Without you our race would have died. If there is anything we can do for you in return, you have only to ask. DOCTOR: There is really no need, unless, perhaps, someone could guide us back to the Tardis. I’m really not quite sure where I left her. A Circean landscape, near where Odysseus first landed. Calupso, Ogugia, Nausikaa, Aiaia, other Circeans, the Alpha-Centauran, and possibly some of the other non-humanoid aliens – but not the Siren or any Uperonians – accompany the Doctor, Sarah and Odysseus to the Tardis. The Doctor, Sarah and Odysseus enter the Tardis amid the friendly farewells of their companions. The Tardis takes off. Earth: the sandy beach at Pylos. The Tardis lands. Sarah and Odysseus come out. SARAH: What a marvellous beach. Just look at all that sand! Is this where you live? ODYSSEUS: No. My kingdom is Ithaca, a rocky island with a rocky shore. This is Pylos. It’s not far from Ithaca, but it's the last place I want to be just now. ODYSSEUS: I’m in a hurry to get home. ODYSSEUS: I’ll have to borrow a ship from King Nestor – and that means I’ll have to listen to his stories about his youthful exploits. You’d think no-one else had over been a soldier the way he talks. Doctor! Can’t we take off again and fly direct to Ithaca? The Doctor comes out of the Tardis and locks the door. SARAH: Oh, no! Just be thankful he’s brought us to the right planet at the right time. It is the right planet, isn’t it, Doctor? DOCTOR: Of course. It’s even the right country. You heard what Odysseus said: sandy Pylos, not far from rocky Ithaca. SARAH: What about the year? Is it the right year? DOCTOR: There’s no doubt about that. We’re right on time. And here comes the reception committee. Zeus and some other Time Lords have materialised. They come up silently and surround the Doctor and his companions. Zeus holds out his hand. With a sigh the Doctor hands over the key of the Tardis. Zeus nods, everyone disappears. A moment later the Tardis takes off. The beach is deserted. A small bare room. Sarah paces up and down, while Odysseus sits on a bench. SARAH: I wish I knew what was happening. He’s been gone for hours. SARAH: You don’t know what they’re like. If you break one of their laws, they’re utterly ruthless. ODYSSEUS: I have known them all my life. You forget they’re our gods. The door opens. Sarah swings round to look. Odysseus gets to his feet. Sarah and Odysseus are led into the conference room, which has been fitted up as a court room. They are led into the dock facing the judges’ bench where Zeus is sitting, flanked by two other Time Lords. Other Time Lords, including Athene, are in court. Poseidon is not present. SARAH: Where’s the Doctor? What have you done with him?